In United States v. French, the First Circuit Court of Appeals addressed an interesting development in a case involving two defendants charged with owning and running a marijuana farming operation on about 80,000 acres of land in Maine. Both defendants were convicted of the drug-related charges but later found out that one of the jurors on the panel lied on her jury questionnaire. She had committed juror misconduct. This crucial information was discovered when one of the defendants was detained in the county jail and was informed by another criminal defendant awaiting trial that one of the jurors was actually the mother of a fairly well-known marijuana and cocaine dealer. The juror’s son was convicted of two separate drug charges and spent time in jail. It also came to light that the juror had assumed all financial responsibility for her son’s legal fees and visited him in jail. With this new development, the defendants’ attorney revisited the juror’s responses to the questionnaire form she filled out before trial. The problematic response involved a question that asked whether the prospective juror ever had a legal matter involving either her or a family member as a plaintiff, defendant, witness or victim. The prospective juror was also asked whether she obtained a satisfactory outcome from the legal process. She was also asked to explain the circumstances regarding the legal issue if she responded that she was not satisfied with the resolution. To the first question, the juror falsely responded “n/a” and then failed to write anything at all in response to the follow-up questions. The juror left all of the remaining questions on the second page of the questionnaire blank and did not provide any information in response to the oral questions that the magistrate judge asked during the jury selection process. From the defense attorney’s perspective, this missing information was crucial in identifying potential juror bias in light of her interactions with the criminal justice system and possible animosity she might feel towards the two defendants who were charged with manufacturing the same drug that her son was convicted of possessing and selling. It appeared as though the juror had engaged in misconduct. Given the apparent instances of dishonesty or at least lack of candor in the juror’s responses to key questions in the jury selection process, the defense attorney moved for a new trial for both defendants. In his motion, defense counsel argued that had the juror in question been truthful in her responses to the pertinent questions during jury selection, he would have had a valid reason to challenge her selection as a juror. The prosecutor did not attempt to deny that the juror had omitted vital information in her responses (i.e., engaged in juror misconduct), but the government did oppose the defense’s request for an evidentiary hearing on the issue since the defendants had already been convicted. The federal district court denied defendants’ motion for a new trial based on its finding that the juror’s omission of information about her son’s criminal history was merely a mistake instead of a dishonest response. In addition, the district court found that the defendants could not show that full disclosure in the juror’s responses would have been a sufficient basis for defendants to challenge her selection as a juror. The district court also pointed out that two years had already passed from the conclusion of trial, meaning that the time for the defendants to request an evidentiary hearing on juror misconduct or potential bias had long passed. The defendants succeeded in getting the First Circuit to remand the case back to the district court on appeal. While the First Circuit did not order a new trial right away, it did require the district court to take a closer look at the reason behind the juror’s incomplete responses, which would presumably shed light onto whether she was biased. The appellate court was unpersuaded by the prosecutor’s argument that the defendants should have been on notice that the juror’s questionnaire responses were incomplete at the time of the jury selection and inexplicably waited until two years after the trial ended to raise the issue. The defendants will now have to wait for the district court’s findings in the upcoming evidentiary hearing to see if their conviction will be set aside as a result of this potential juror misconduct. This case serves as an important reminder that even seemingly mundane aspects of a federal criminal trial can present opportunities for appealing a conviction. Successfully proceeding through the criminal trial and sentencing processes and capitalizing on those openings for an appeal is something that should only be trusted to an experienced federal criminal appellate advocate. When it comes to such a life-changing situation for you or a loved one, no stone in the criminal process should be left unturned. Contact criminal defense advocate Brandon Sample at 802-444-HELP to discuss potential defenses and appeal possibilities for your criminal charge or conviction right away. 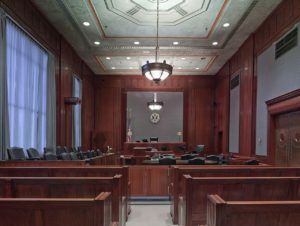 In order to make sure that you have explored all of the possible opportunities to avoid a criminal conviction or receive the most lenient sentence for the offense you have been charged with, it is prudent to begin strategizing about your specific case with a seasoned defense attorney as soon as possible. Attorney Brandon Sample is the trusted choice for anyone facing a serious criminal charge and has vast experience handling the appeals process for a wide range of serious criminal offenses.